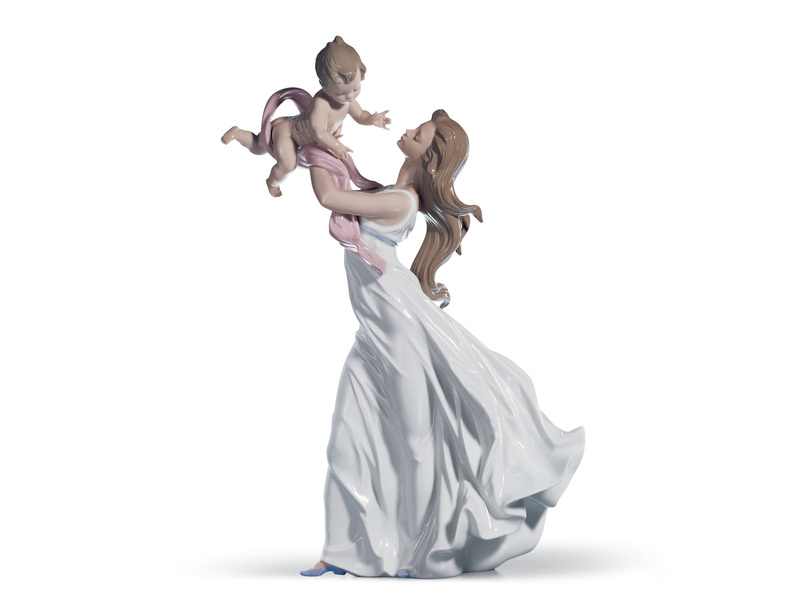 Lladro A Mother's Embrace - Standing Porcelain Figurine. 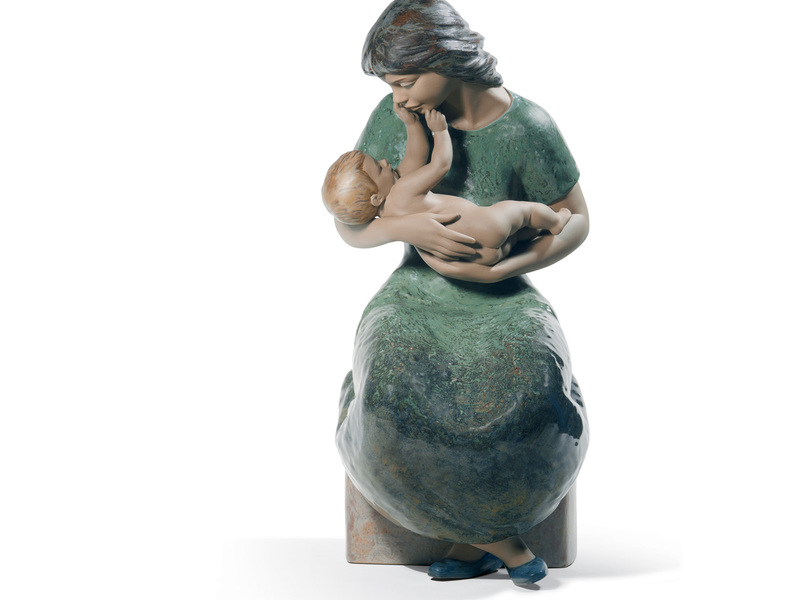 01018218 Buy online or telephone, call 01732 454937. Free delivery in the UK. 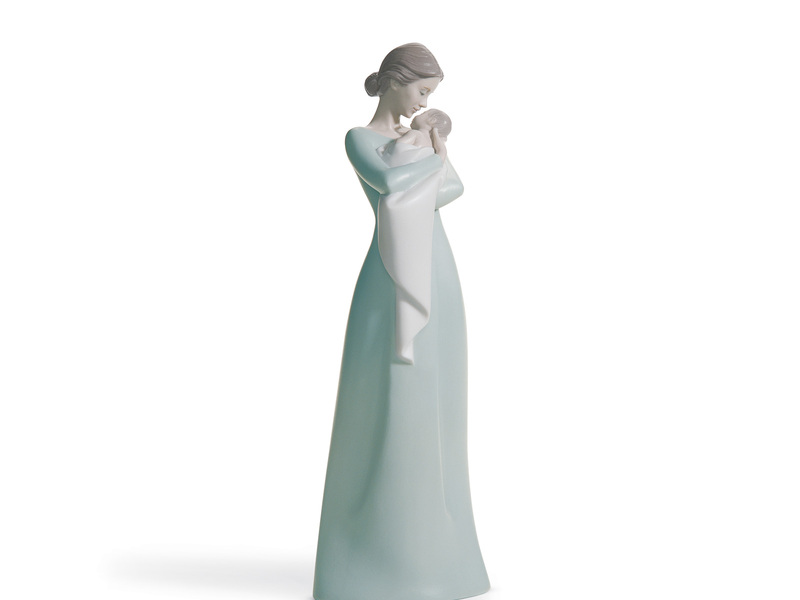 This is porcelain figure of A mother in a pale blue dress who is in a wonderful embrace with her baby in her arms, wrapped in a pink blanket.